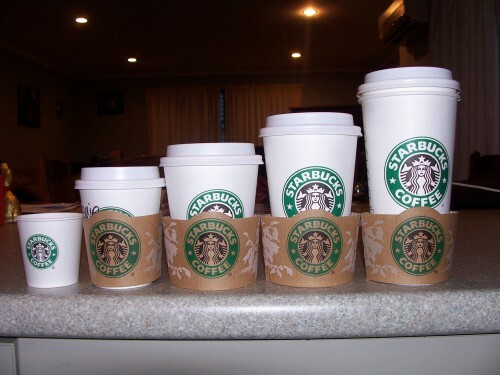 Do you know where the names for the sizes of coffee at Starbucks come from? Of course, short and Tall are from English, but the other sizes are actually from Italian. As they are named, hot venti contains 20 fl. oz, cold one contains 24 fl. oz, and trenta contains 31 fl. oz. Since I am studying Spanish, I have thought that they are kind of similar to Spanish, and it really made sense when I found out that they are from Italian. So, I also check other romance languages numbers and compare them to see how similar and different they are. As you can see, most of the numbers are pretty similar even though you can see some weird stuff between 70 to 90 in French. However, just by comparing some numbers, it is very clear that they all came from Latin, and still have very similar traits. 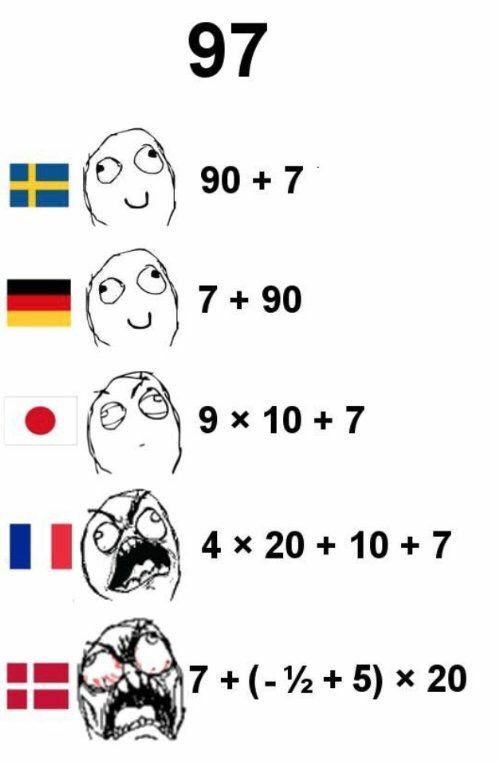 Why is "97" "7 + [-½+5] x 20" in Danish?